Spirit Works opened in 2013. It’s a grain-to-glass facility that mashes and ferments in-house, and currently produces vodka, gin, barrel-aged gin, sloe gin, and straight rye and wheat whiskies. Marshall founded the distillery with her husband Timo after the two met on an environmental research vessel and discovered a mutual love of craft spirits. She had no formal experience in distilling, but the two eventually created a distillery from the ground up while exploring ways to produce Timo’s family’s sloe-gin recipe. There was a lot of trial and error, success and failure. The couple benefitted from shadowing members of the craft-distilling community to learn the trade and set expectations. All that studying and hard work has paid off: Fortune Magazine named Marshall among the most innovative women in food and drink in 2016. Marshall changed roles in 2017 to become Spirit Works’ brand director. Her protégé Lauren Patz (pictured atop, right) became the new head distiller. Rounding out the Spirit Works staff are Tasting Room Manager Amanda Graziano, Brand Ambassador Krisztina Lazar, and Production Associate/Apprentice Distiller Nikki Lucas. So does the all-female team make a difference at Spirit Works? “We’ve had people tell us we’re the cleanest production space in all of Sonoma County,” she adds. Lauren Patz, the newly named head distiller of Spirit Works, in the barrel room. Beyond those qualities, Marshall does not think Spirit Works is any different for its staff. Especially when craft distilleries across the country are naming female head distillers and hiring more women. And that gives Marshall and other trendsetters the opportunity to train the next generation of female distillers — like her successor, Lauren Patz. The daughter of Napa winery owners, Patz also has a background in chocolate. She paired candies with whiskey while working at the San Francisco-based TCHO Chocolate, before joining Spirit Works in 2014 as tasting room manager and apprentice distiller. However, she adds, it does generate publicity for the distillery. 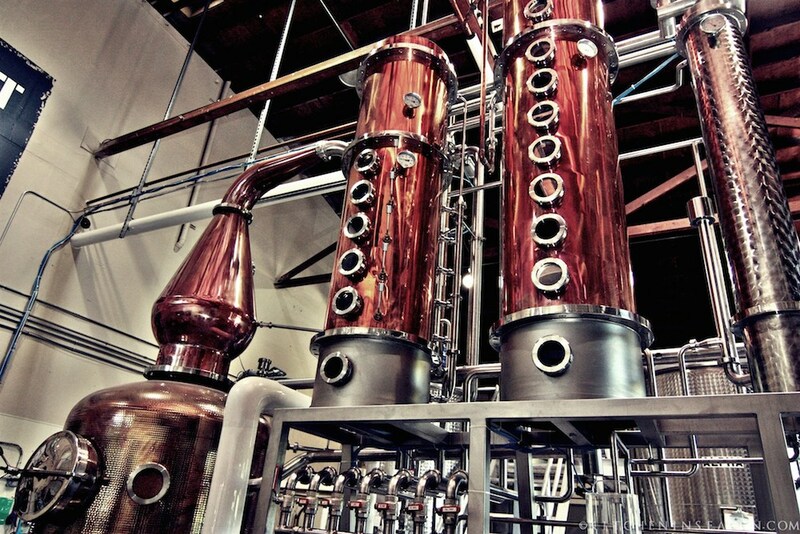 Inside Spirit Works Distilling in Sebastopol, California. Still, when Patz recently attended a distilling industry conference, she noted that “about 90 percent” of attendees were male. Kyle Swartz is managing editor of Beverage Dynamics magazine. Reach him at kswartz@epgmedia.com. Read his recent article on 7 Whiskey Trends To Watch In 2017.